We welcome our visitors to explore our 100 acres of woods, wild garden, policies and a walled garden. From January to May the main interest is the wild garden and policies where snowdrops in January are followed by daffodils and finally bluebells in May. In June the emphasis turns to the walled garden- rich in interest and colour throughout the summer. 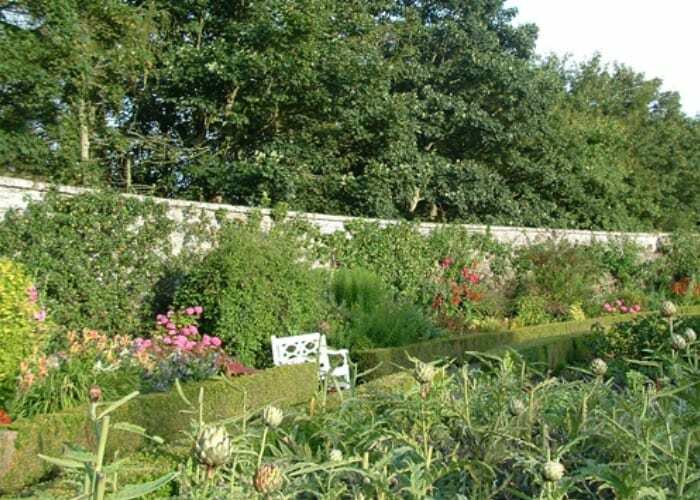 Situated at the bottom of the beech avenue, the walled garden is planted with rose borders, traditional mixed borders, vegetables, herbs, soft fruits and fruit trees and there is a greenhouse. Directions: Three miles south of Montrose, ten miles north of Arbroath, signposted from the A92. Telephone 01674 672031 or visit the website. 1 February – 28 February 1pm – 5pm. Snowdrop Opening, Partial Wheelchair Access, Designed Landscape, Dogs on Leads. Beneficiaries: Donations to SGS Beneficiaries. 15 May – 31 August 1pm – 5pm. Children’s Activities, Partial Wheelchair Access, Designed Landscape, Dogs on Leads. Groups are asked to book in advance and are welcome to visit the gardens throughout the year. Admission for Castle Tour – Adults £7. Concessions £6. Children under 16 Free. Young Scot Cardholders £1. Gardens only £5.